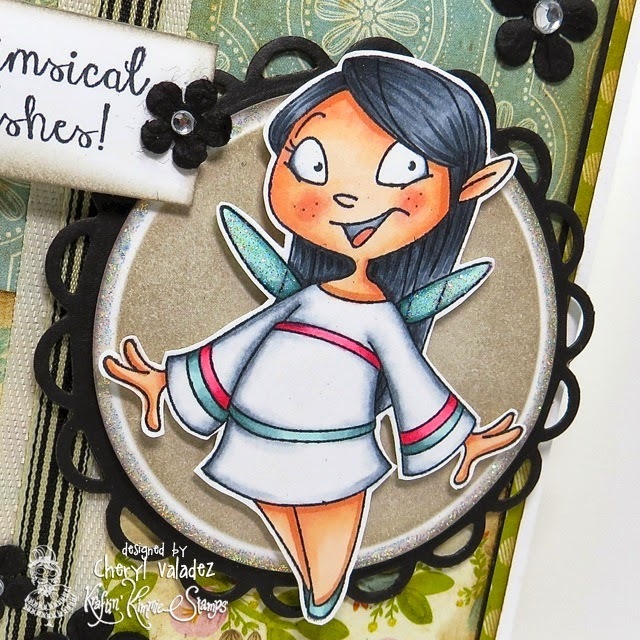 The Ink Trap: It's Wonderful Wednesday at Kraftin' Kimmie Stamps! 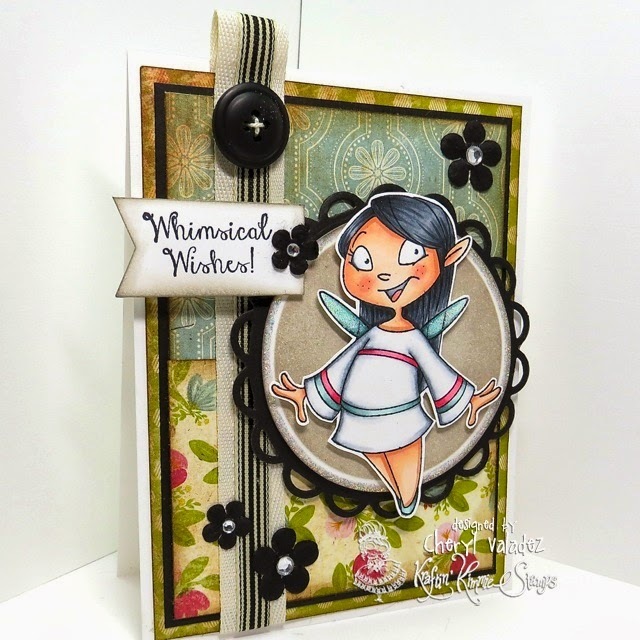 It's Wonderful Wednesday at Kraftin' Kimmie Stamps! Welcome to another Wonderful Wednesday challenge at Kraftin' Kimmie Stamps and the last one for March!! As always....it's ANYTHING GOES!! Your submission must use at least one Kraftin' Kimmie Stamp but can be any theme, any style, any design and it can be a card, a scrapbook page, an altered item....you name it!! It must be a NEW creation. I've used an image from Pretty Little Pixies for my card. Love this sweet set! By the way, I just want to take a quick second to say that this is my last card as a design team member for Kraftin' Kimmie Stamps. I'm trying to vary my DT load a wee bit and thought I would step aside after 2+ years and give someone else an opportunity to enjoy this team in the way I have. Never has there been a kinder, sweeter, funnier, more talented group of gals than the KKS DT. I am just ever so grateful to them and their fearless leader, Kim, for allowing me to bask in their glorious presence :) Thank you ever so...MWAH! Gonna miss you BIG TIME, girl!!! It's been an awesome ride and it's over way too fast. :( But will continue to stalk you. LOL!